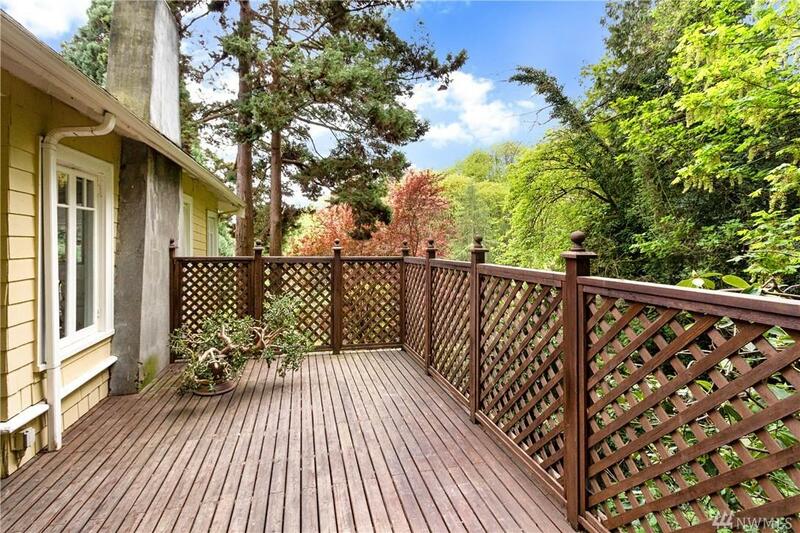 Stairway to your sanctuary... Sweet 1916 home, perfectly set in nature with native trees, plants and birds. 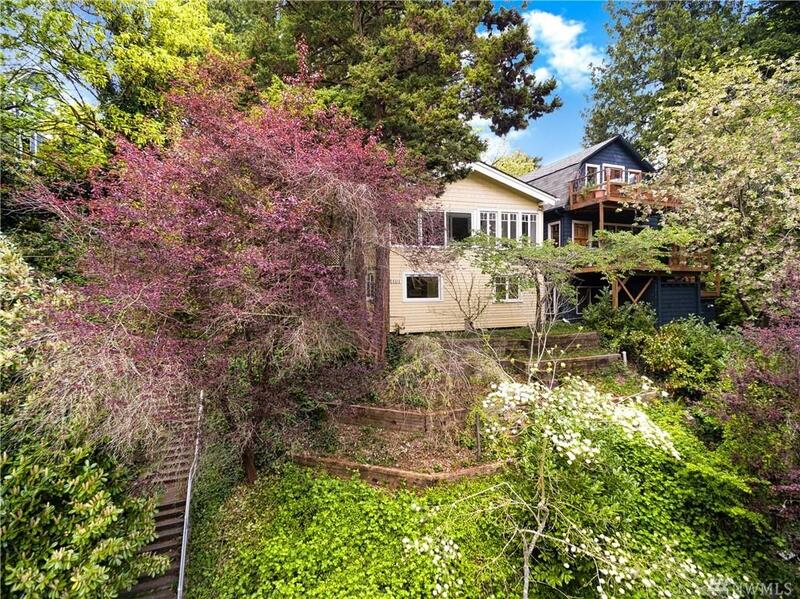 Bright south eastern light fills the space while the Madrona woods provide a gorgeous background all year long. Peekaboo lake views in autumn and winter. Quiet and private. One block to lake Washington and beach. 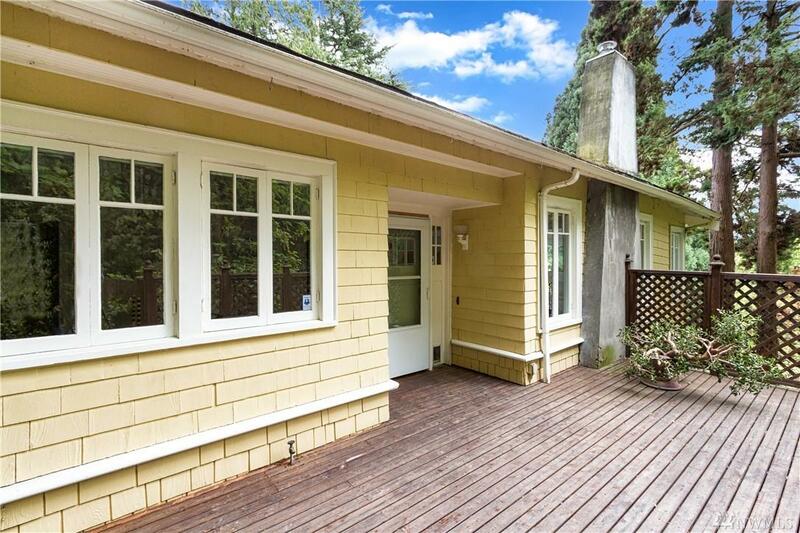 Four blocks to Madrona retail and restaurants on 34th Ave. Easy access to 90 and 520. Quick commute to First Hill, downtown Seattle and Lake Union. 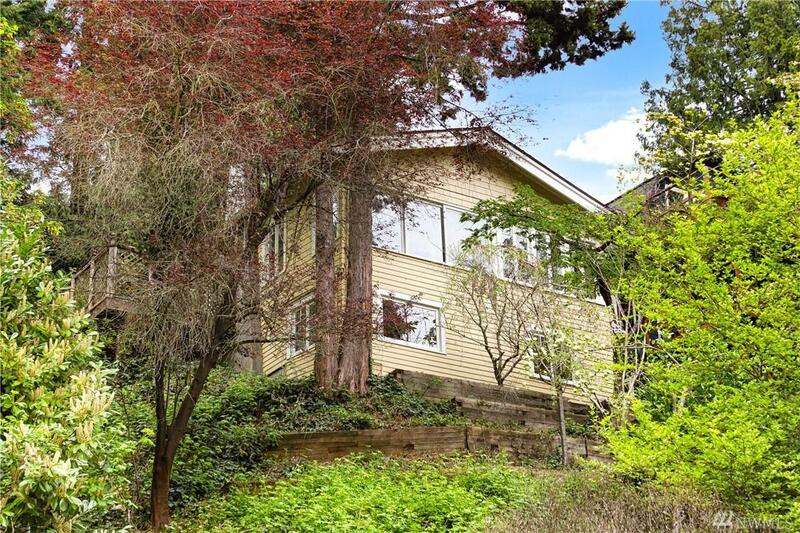 Incredible Madrona opportunity!